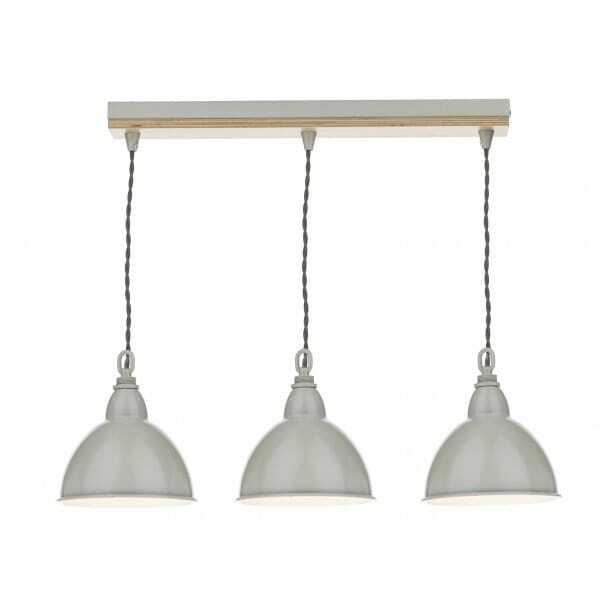 A retro design ceiling pendant bar with a wooden fixing and cream coloured metal shades, suitable for use in any setting and ideal for lighting over tables and kitchen islands. The light is double insulated to allow for safe use without need of an earth wire. This would be great for those with low or high ceilings as it can be height adjusted at the point of installation.